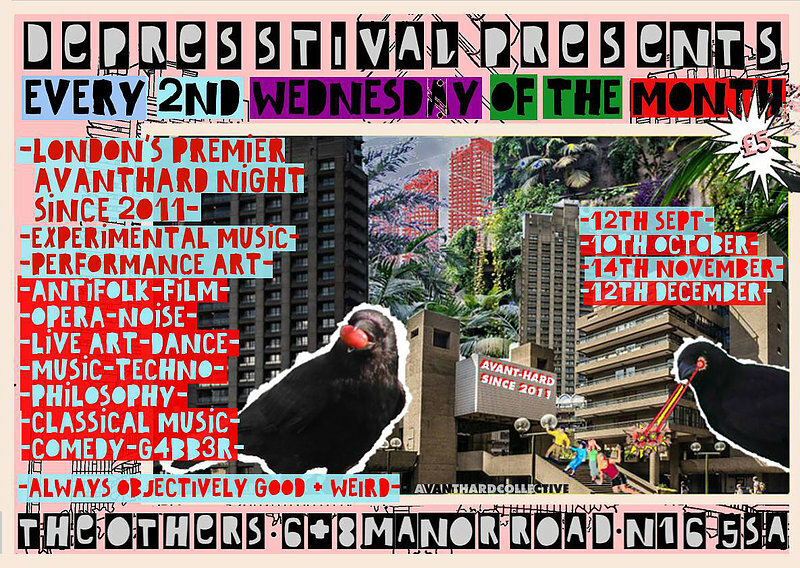 DEPRESSTIVAL PRESENTS is London's premier Avant-Hard night, running every 2nd Wednesday of the month. 5 quid/pay whatever, free Word Cloud with entry. 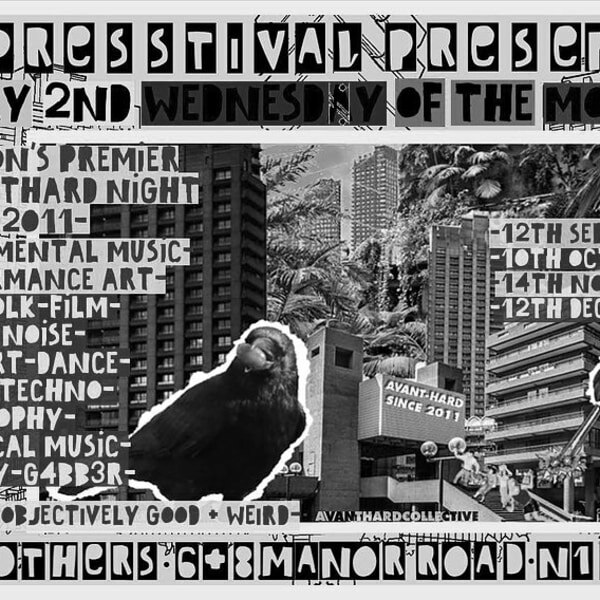 Since 2011, DEPRESSTIVAL PRESENTS has provided a unique platform and supportive and welcoming environment for 100s of established and emerging artists alike, to experiment and develop new ideas and explore their creative practise. DEPRESSTIVAL PRESENTS provides an irreverent and FUN perspective on the contemporary art and live performance scene, and is always surprising, always interesting, and has featured a whole host of the most diverse and surprising performers, from ALL artistic mediums, operating today. Always objectively good, welcoming and intriguing, DEPRESSTIVAL PRESENTS is a shared creative space for artist and audience alike....Basically, everyone is friends and has a nice time in the same room together.